If you would like to get your first Love with food box FREE, like actually free no gimmicks, click the photo below or to go : http://lovewithfood.com/invite?m=r&ref=213t . I receive points to use in the store for my next box and you get a free box. If you don’t like what you receive just cancel your subscription and you never get charged. For this box I was excited! I kinda peeked on their website and figured out some of the stuff that was in it. If you watch the video you’ll see my husband steal “his precious” and run off with it. Watch to the end to see the full thing. Married 10 years and we fight over candy. I think we’re doing just fine <3 haha! In this month's Deluxe love with food box I received: 2 bags Kettle Corn by Oogies 2 bags Pitted Green Olives by Olympos 2 pouches Hazelnut Spread by Nocciolata 1 bag Chocolate Chip Cookie Chips by Hannah Max 1 bag Original Cookie Chips by Hannah Max 4 pieces Dark Chocolate Sea Salt Caramels by Liddabit Sweets 1 Gluten Free Almond Cranberry Dark Chocolate Granola Bars by Pistol Whipped Pastry 1 packet (3 pieces) Chocolate Honey Mints by Honey Acres 4 pieces Espresso Candies by Bali's Best 2 bags Dark Chocolate Coconut by Next by Nature 2 squares Lindt Excellence 70% Cocoa Also received a coupon for Honey acres for 15% off. If you would like to use this code go to www.honeyacres.com and enter code LOVE for 10% discount! A coupon for cookie chips $1.00 off a 6 ounce bag. If I can find these locally I'll be buying more! I ate the chocolate chip ones whilst editing this video / blog post! A $100 fine voucher for nakedwines.com , probably won't use this because I don't drink. If you'd like this, leave a comment on the youtube video! Lastly barkbox.com go receive your free box. 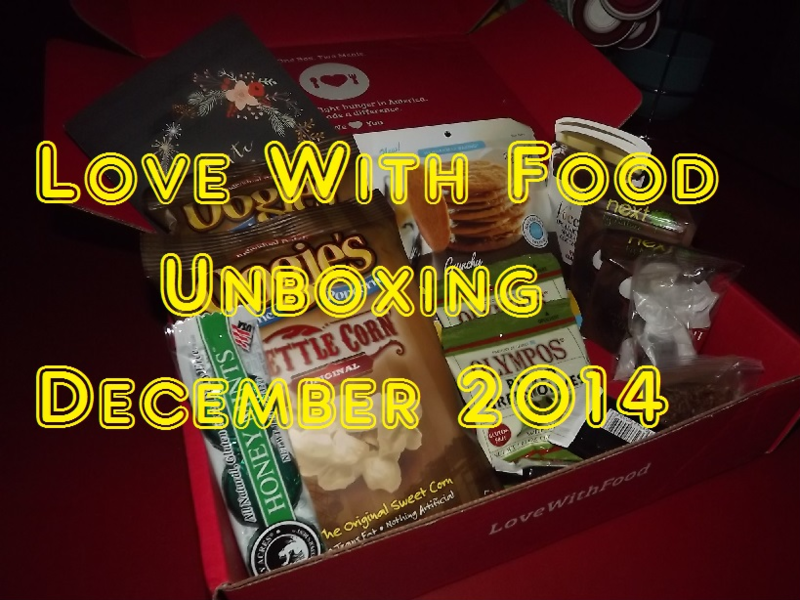 I am SUPER thrilled with this months box so I'm keeping it for next month for sure!